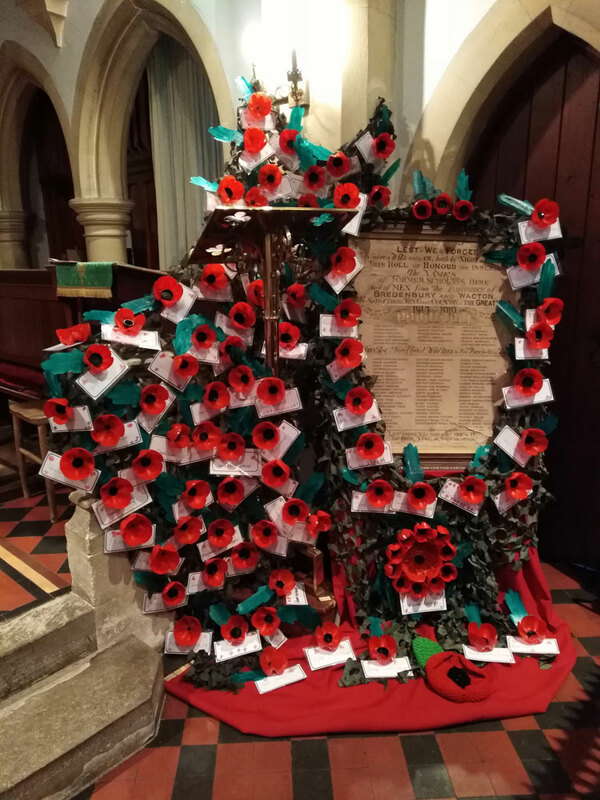 World War I Centenary Commemorative Service at St Andrews Church Bredenbury on Friday 9th November. Bredenbury Primary School held their own service to commemorate those who lost their lives during the 1st World War. And to those who were injured and survived the great war. All these men came from the local area of Bredenbury and Wacton. All the children made their own poppies and each poppy represented a soldier with their name. It was a very moving service, ending with James Lane playing Amazing Grace on the Bagpipes. Also present was Mrs Aldridge and her 2 sons Archie and George. Mrs Aldridge sadly lost her son William during the conflict in the Helmand Province, Afghanistan in July 2009. William Aldridge came from Bredenbury and remains to be the youngest soldier to have been killed at just 47 years past his 18th birthday.